This project involved the construction of a new access road as part of the project to build the new St Barnabas Hospice in Titmore Lane, Worthing, West Sussex. We secured the contract by competitive tender of approved West Sussex County Council contractors. The road works were subject to Section 278 Developers Agreement. The access road was constructed prior to the building of the new hospice and we worked closely with the designers and utility services prior to commencement on site. To construct the access road, it was necessary to set up a traffic diversion for the major part of the works. Utility services carried out a number of diversions and new mains prior to construction works starting. The highway works were principally on the southbound carriageway, creating a bellmouth access. 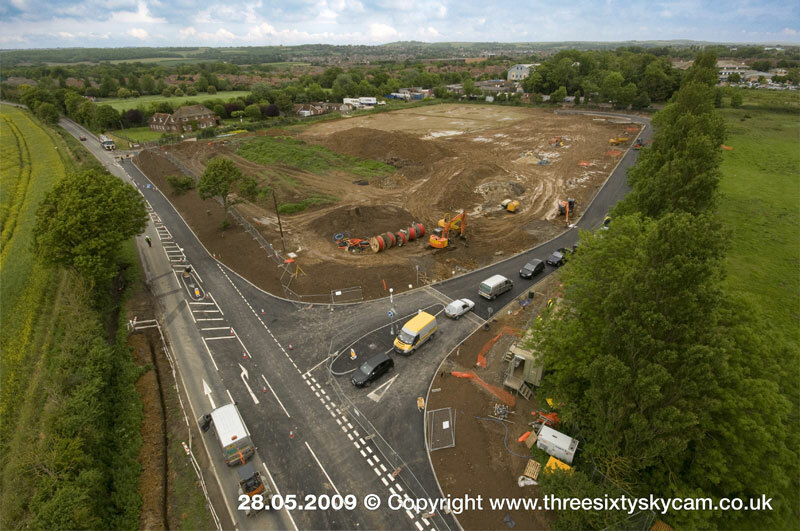 The land for development was cleared and earthworks reduced the ground levels to tie into the existing road. Work included surface water drainage, service ducts, provision of a footpath and cycleway, splitter islands and traditional road construction. Surface water is drained to new V-ditches that drain to borehole soak-aways. The fast-track contract resulted in the whole of the works being completed in 10 weeks including signs and road markings. The site is rural and has restricted access, and alternative pedestrian, cyclist and horse access were maintained throughout. The majority of the construction work was carried out afloat.